The objective was to enable access to this under-used or unrecognised company asset, encouraging creative use of the AGA Group’s archives leading to greater integration of the archives within the company’s business practice. The project also aimed to strategically allow access to the group’s network of collaborating companies such as: component and accessory suppliers, architects, home and kitchen designers and others. Thus ensuring both the highest technological standards and also that designs are infused with the distinctive AGA style. In design terms, AGA is a brand that has a great heritage. The AGA cooker is made in the Coalbrookdale foundry, where Abraham Darby (founder of AGA) first made cast iron cooking pots in the early years of the 1700’s. The company archives contain a rich and diverse mix of documents, designs and advertising material spanning a range of products and about three hundred years of history. In setting up the project, the company demonstrated a strong belief that this physical and digital material may be used to influence new product design and development and that together with marketing materials to inspire consumer confidence, this could reinforce credibility in the brand by harnessing the company’s heritage. The prototype Design Archive Gallery (DAG) is able to reference product evolution by tracking certain themes: significant product styling, colours & historic colour development, involvement with environmental issues (energy use, insulation, renewable energy). These historic references enable comparisons of new designs and of performance to show a commitment to sustainability. In addition to enabling online cataloguing and the creation of DAG, digitising the collection has brought unexpected benefits. Enhanced digital copies have shown things not visible to the naked eye, for example pencil marks on an old brochure marking various changes in design. 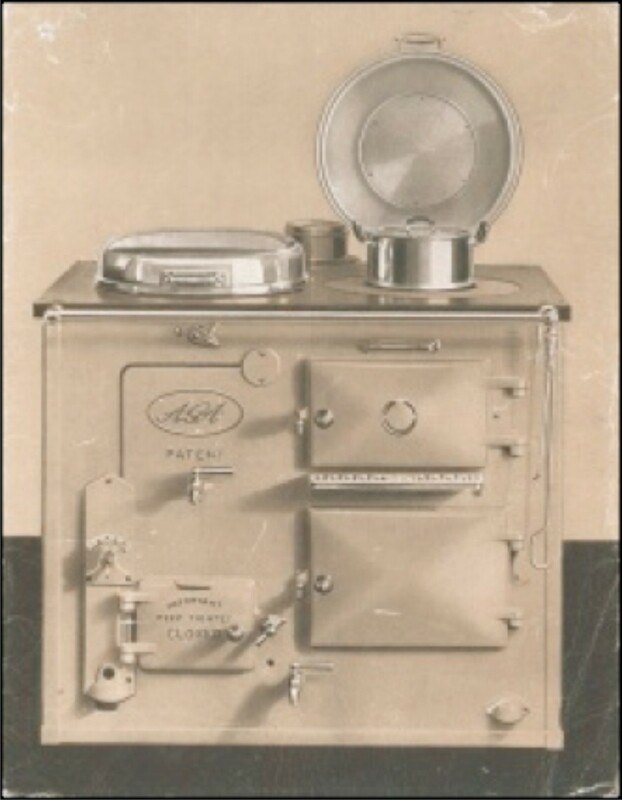 Although commercial sensitivity means that we do not know exactly how AGA have so far used DAG in the development of new designs, their marketing department have been using the archives to boost the image of the company’s authenticity and integrity. The archives produced an important discovery very early on in project. An original handwritten parchment for the enrolment of a patent granted by Queen Anne in 1707. The existence of the patent was known from a 19th century transcription, but the original 306 year old parchment holds significant worth in underpinning the authenticity of the company’s heritage. The new commercial priorities following the identification of the 1707 patent focussed on marketing cast iron cookware for AGA Cookshop as it was the innovative method of manufacturing cast iron cooking pots that this early patent was granted. The 1707 patent is a document which stands for the authenticity of cast iron cookware and by using this piece of history in campaigns and other PR proposals, the company is attesting to the longevity of its values and its continuing pride in its roots. During the project, the archivist also employed Social Media Platforms, such as Twitter (@Agavist) to publicaly document the development of the DAG. This not only raised the profile of the company archive, but also revealed to the company a large public audience of enthusiasts with stories and historic documents of their own to add to the DAG and company history.